Hi from Washington dc! The six of us loaded up the day after Christmas and managed to skirt around those blizzards (eek!) to spend some time here in this interesting city. 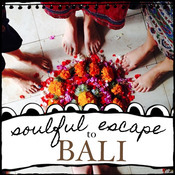 We've done a lotta lotta walking and spent many hours checking out some amazing (and free!) museums. Long time memories are in the making. I'm blogging from my phone so let's see if this works ;) I'll be reunited with my computer in a few days - see you then! wishing you all lots of love, silly, happy and yummy! we bundled up and set off for a day out in boston yesterday! brrr, it was cold and windy! we kept ourselves warm by walking, and walking, and walking...following part of the freedom trail to see some historic sites around the city. it was fun to be tourists, and i'm sure we looked like them - bumbling our way around the subway, getting out our borrowed guide-book, bags stuffed with snacks and drinks and extra woolies spilling everywhere! we had a good time...we found free hot chocolate, an ice-sculpture display, a snow queen who gave us a winter wish, really good italian food, pretty christmas trees and lights. by the end of it we were all exhausted but happy! i've been making doll clothes every evening this week, staying up way too late - i can't help it - i'm addicted and keep adding things to my to-do list! the christmas crazy is well and truly here! a week ago, my dad rang and said his work plans (he works offshore) had been pushed back till mid january...and he had bought a ticket to come over for christmas!!! seeing as it wasn't too long for me to have to keep such a great secret, i decided not to tell the girls so that they could have a surprise...and oh it was worth it! he got in late at night and i tucked him up to sleep in my studio...so yesterday morning the girls woke up...we read some books...we ate some breakfast...i tried to keep them quiet-ish (ha! )...and then when i could wait no longer i sent them into the studio to 'look' for something...where they found GRANDPA!!!! all resulting in a VERY colourful, VERY happy looking tree that makes me smile every time i take a glance! but we really love our crazy-colourful happy tree! 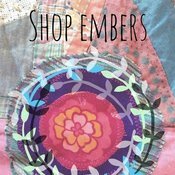 erika martin designs is an etsy shop full of handmade lovelies - use the code EMBERS for 10% off any item. All items are hand made and come from a smoke free home. 10% of proceeds are donated to the Village2Villageproject.org which is a grass-roots project helping orhpaned children in Uganda. 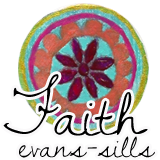 eb & flo (makes of divine little coats) are offering FREE SHIPPING! 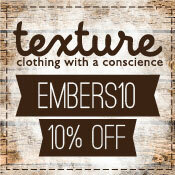 just enter *embers* at the checkout and the shipping costs will be refunded. and for some gorgeous artwork check out leaves and feathers, where you can get 20% on everything in the shop until dec 20th. the girls and i made some 'fancy' (anything with glitter or sparkles is considered fancy in this house) tree ornaments for the online holiday studio i'm doing with morgs (you can still sign up)...made in an egg shell so cleverly inspired by these circa 1970's ornaments my mother created. when i was a child and the egg ornaments got unwrapped each year...ooohs and ahhhs a plenty! we thought they were so very special! and i love that my kids do too! mum, i miss your christmas creativeness! this made me take a long trip down memory lane and remember all the things you made for our house when i was little. i hope my children remember the things we have created together with the same fondness! nothing beats a good memory! last chance to get a happy camera strap for a christmas gift! i'll be closing up my factory on friday and will re-open in the new year. everything was covered in a pretty white blanket of snow...it just quietly happened overnight while we were sleeping! it was a very exciting discovery for this little australian family. that was, until we were running late for school - had to scrape snow off the car with a spatula and climb in through the boot because the doors were frozen solid shut! we had a beautiful birthday/anniversary weekend! ivy had one wish for her birthday (well, aside from her adorable wish list), and that was SNOW! we have been waiting and waiting (me = nervously) for the snow to arrive here...and to her GREAT DELIGHT, everything was dusted in snow the morning of her birthday! we played and played until our bottoms were too wet and cold to play anymore! then home for ivy's birthday dinner - homemade spring rolls, broccoli soup and carrot cake...followed by movie night in bed with mumma & dadda.